As evidenced by our extensive coverage on Frankfurt’s vibrant techno scene, it comes as no surprise that the city spawned one of Germany’s most notorious labels, Force Inc. Music Works. Unlike many of its contemporaries, Force Inc. didn’t only indulge in sonic experiments and techno escapism—its releases also addressed radical political issues of the time. The imprint was founded in 1991 by Achim Szepanski and quickly became a home for now-legendary German producers such as Mike Ink, Alec Empire and Thomas P. Heckmann, all of whom released some of their earliest material on the label throughout the early 1990s. 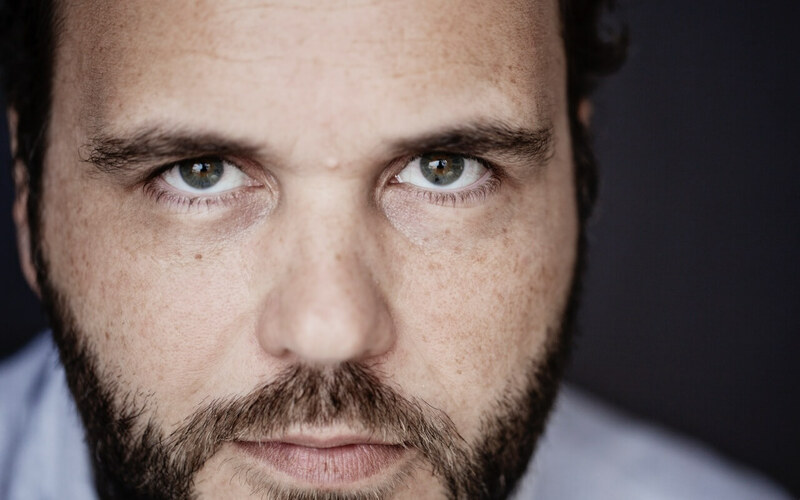 The German producer and DJ Ian Pooley—today known mostly for his releases on Innervisions and on his own label, Pooledmusic—was also one of the core members of the Force Inc. family. He released a number of wild, eclectic and widely celebrated classics on the label with DJ Tonka, Alec Empire and as a solo artist. Here, he guides us through twelve tracks that irrevocably shaped the seminal Force Inc. sound. My first release on Force Inc. with DJ Tonka came out in fall 1991. We met Achim at Boy Records, which he was running. We went there on a regular basis because it was the only shop where you could buy records from Detroit back then. It was located near the infamous Konstablerwache in Frankfurt, so it felt like quite an adventure for two sixteen-year-old teenagers. One day, we gave him a demo tape of this EP and he immediately signed it for his newly founded label, Force Inc.
As you can probably hear, we were heavily influenced by Derrick May, 808 State and Juan Atkins. Some of the tracks on the EP were later licensed to R&S Records in Belgium. They released them under Space Cube (our other project) on a sub-label named TNI with a crazy Richie Hawtin Remix of “Pure Tendency”. “Liquid” was Thomas P. Heckmann’s first release on Force Inc. He’s also from my hometown, Mainz, and I was always really impressed by his synth collection. I bought my beloved Memorymoog from him. “Liquid” was a big track back then. The main synth line was so loud that it blew out the speakers. You can hear a lot of influence from LFO and early breakbeat from the UK. Force Inc. was never your typical German house and techno label. Achim and the label’s artists all loved the music coming from both the US and the UK, and this combination of influences made Force Inc. sound more international. I remember that we had so much fun making this track in the studio. The main synth line comes from a Roland MC202, and we also used a TR-909 and an S950. Everything was recorded live—we didn’t use any computers. You can hear us pressing “play” and “stop” on the 909 a few times throughout the track. With Space Cube we wanted to create a mix of house, techno and breakbeats. “Virtuality” is my favorite Space Cube track. Tonka is on the keys and I’m on the 909. We decided to keep it simple. I was always pushing for a sound inspired by Detroit and Transmat Records, and Tonka had more of a passion for melodic piano house. I think you can hear that on all of the tracks on this EP. Later, we went for a more breakbeat and jungle sound. This is a massive track by Alec Empire, and it includes a powerful political message. He produced his music like no one else. He used breakbeats, weird samples, a Roland 909, 101 and 303 plus a lot of distortion. We called that style “digital punk.” The years between 1992 and 1995 saw a lot of breakbeat and jungle releases on Force Inc., and Alec was always at the forefront. His live shows back then were amazing and full of energy. I totally forgot about this track. Skydiver is another pseudonym from Thomas P. Heckmann. The rhythm is quite complicated, but it’s such a lovely tune. It has a very warm and Detroit-inspired sound, but it still has his own signature flare. This is proper tech-house for me. It’s such a banging tune by Wolfgang Voigt. I love every release he produced on Force Inc. and Mille Plateaux. Ultrahigh was a project by Cem Oral (a.k.a Jammin Unit) and Roger Cobernus. This track is a total trip and one of my favorite acid records on Force Inc. The 909 sounds so banging here. This is my first solo record from 1994. I produced this at home in my bedroom with most of my hardware on the floor. Let’s not forget about Force Inc. US, which was launched in 1995 as a platform for house music—as well as for the new disco-house sound that was blowing up back then. The US offshoot released great music by Tonka, Gene Farris, Glenn Underground and many more. I picked this one because I’ve always been a massive fan of Roy Davis Jr., and I never get tired of playing this remix he did with DJ Skull. Richard Benson is one of Alec Empire’s techno alter egos. I love all three EPs he did under this pseudonym. It sounds like it’s straight out of Detroit, but it has his own twist. Alec is a versatile producer. His catalogue ranges from ambient releases on Mille Plateaux to punky releases as Atari Teenage Riot (I can recommend their live shows, they’re so good!). I also produced two EPs as Ian Pooley & The Jaguar with him for Force Inc. We were basically just jamming on my machines at home. I can’t remember how Achim got to know DJ Rush. All of the sudden, he was only playing his music in the office. His sound was—and still is—so unique that he actually created his own genre of techno. It’s characterized by extremely syncopated beats with a lot of swing. He’s also a phenomenal DJ.